Looking for a new method to minister to your congregation or attendees? One that has withstood the test of time? One word: Storytelling. Jesus used storytelling to communicate deep spiritual content in a user-friendly manner. Are you looking for a way for your ministry to inspire today’s culture with life-changing spiritual truth in a relevant manner? Check out storytelling sand animation or Christian Sand Art. It is a unique way to communicate the good news of Christ to your community. Combining the arts and the spoken word is the perfect outreach event. Sand Story or Storytelling Sand Animation is a fresh and innovative storytelling approach to effectively communicate the gospel to others. Mixing sand and light, pictures are formed and reformed into ever changing shapes and images that tell visually powerful biblical stories. Set to music, these images inspire, challenge and minister in a compelling manner. Sand Art is performed live and projected on screens for a powerful life transformation experience. More than entertainment, Sand Story will leave your congregation and attendees with a deeper understanding of biblical truth. Joe Castillo is a gifted keynote speaker and is available to deliver a message about God’s love story, a story that he believes touches everyone. God’s love story is something tangible, something that can be felt and that constantly tests us. Castillo has made a life out of telling people about this particular story, a narrative that many choose to emulate, learn, and experience through faith-based activity as church-going, attending Christian lectures or participating in faith-based mission-work, relief work, or other types of daily service. Castillo is no stranger to adversity and has a strong message, one that can be received easily with his down-to-earth nature and in a way that transcends preachiness or a fundamental tone, which tend to turn off even the most ardent Christian. 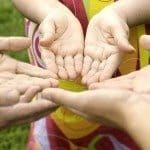 Christianity is also about humility and acceptance, about goodwill and the practice of love made visible and practical: bringing food to the hungry or ending homelessness. These are the ways in which Christ made love visible, by multiplying the fish or bread, by being the change he wished to bring. Sand Story also reaches across a broad spectrum of venues from churches to conferences. Newsweek Magazine has also affirmed the versatility of Sand Art as a storytelling marketing strategy for business: Part performance art, part visual art, and part storytelling, the craft has been featured at Cirque du Soleil and Christian youth camps, and corporate events. Live shows enchant audiences not only because the visual effect is riveting, but because they tell a story, typically about love, war, or faith. 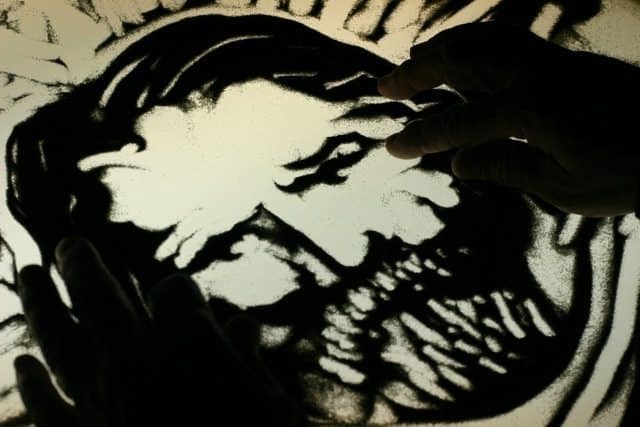 Joe Castillo is a sand artist, a storyteller, and entertainer who uses these as a medium for cultural expression. 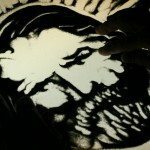 He depends on what he calls “SandStory,” “ArtStory,” and “WordStory” and is a sand animation expert for the world, being the most famous in this genre. God’s Love Story combines all these elements to bring an animated Christian message to groups who wish to hire Castillo. Light, color, motion, sand: They illustrate the temporal nature of the Christian story itself. It is a story that defies reason and categorization: Jesus literally disappears into thin air after three days of death, caused by ignorant, unfair persecution of people who were afraid or resistant to the revolutionary message of how to improve relations, life, and behaviors toward each other, the world, and the concept of God. Castillo sheds light on the subject, with an interesting, interpretive approach to God’s Love Story. 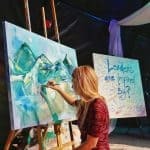 Joe Castillo is one of the first and certainly the premier “SandStory” artist in the world for Christian events. He as inspired millions of people through Storytelling Sand Animation and introduced many to this new art form. Joe Castillo is an internationally known artist, author, and storyteller with a passion for promoting a ministry using the visual arts as a way of touching the heart. He has traveled to fourteen countries, performed for world leaders and churches across the country. Castillo was the first Sand Artist to appear on the NBC TV show America’s Got Talent. For additional information on Joe Castillo and SandStory, contact Tim Grable at 615 283 0039.